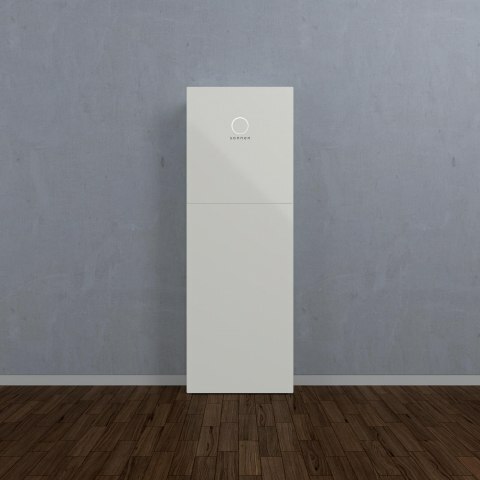 Germany’s Sonnen wants to create a world in which everyone is able to meet their power requirements using cost-effective decentralized and smart clean electricity systems that generate and store energy close to the point of consumption. The Sonnen battery solution is the means to that end. 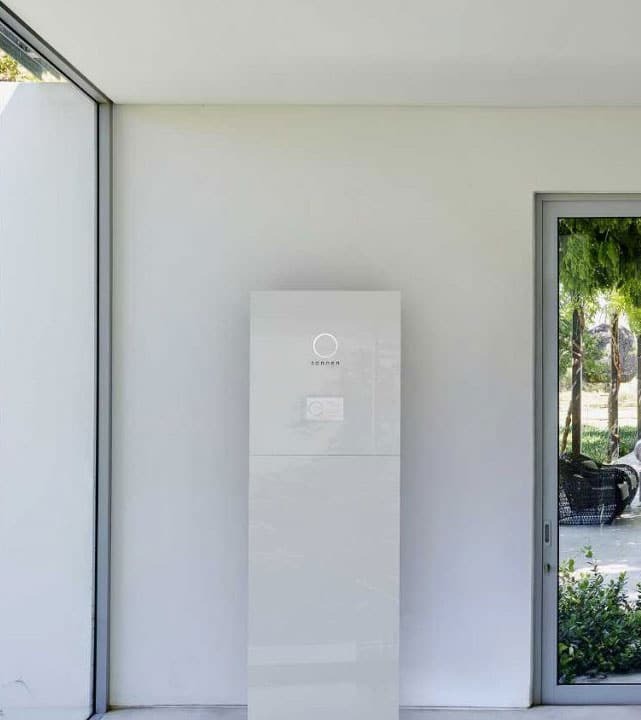 Engineered and made in Germany; Sonnen’s home battery storage solution, sonnenBatterie Eco, is a part of realizing that vision – and is now available in Australia. NEW: Now also available with automatic blackout/backup power option! At sunrise, the solar panels start to produce energy, though not enough to cover the morning energy needs. The sonnenBatterie will bridge the gap with the stored energy from the previous day. In the daytime, the energy generated from the solar panels is at its peak. But since nobody is home the energy consumption is very low so that most of the generated energy is stored in the sonnenBatterie. Every household has its own very specific energy needs. That’s why the sonnenBatterie was developed as a multi-stage storage system that can be adapted to the most diverse energy needs. With storage sizes ranging from 2 kWh to 16 kWh, the sonnenBatterie will power a detached house or a multi-family house. 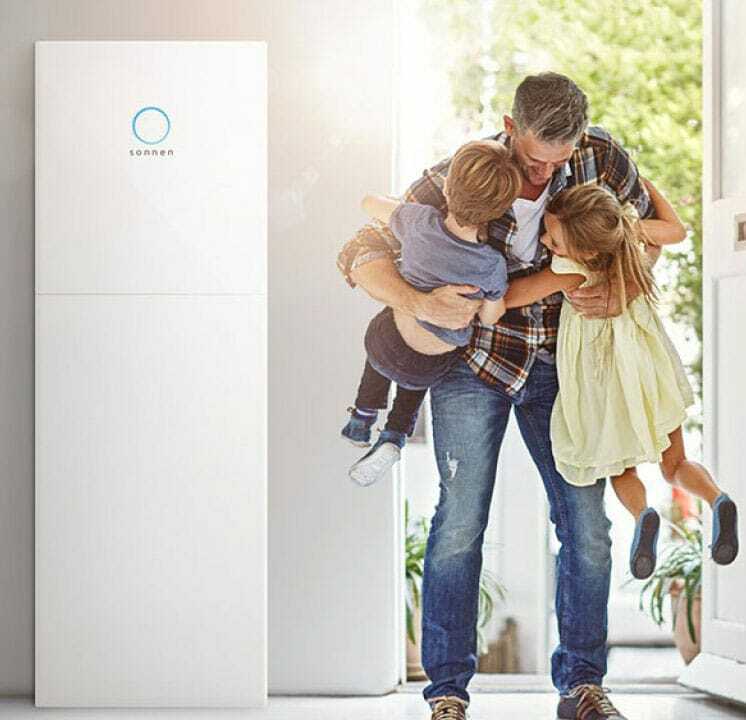 The sonnenBatterie’s energy capacity can be individually expanded in blocks of 2 kWh – should you ever feel the need to increase the power stored in your house. The sonnenBatterie is a complete system – ready for connection. This means that inside of every sonnenBatterie you’ll find not only the extremely durable battery modules but also an inverter, an intelligent energy manager, measurement technology and the software to operate it all smoothly. All in one handy box. In contrast to most other battery systems in the market, the sonnenBatterie components are build into a single high-quality casing and perfectly attuned to each other – thereby ensuring a very high longevity and maximum quality with a small footprint. Over time they will be charged and discharged many thousands of times. For that reason, the sonnenBatterie is based on the most reliable and sustainable battery technology available and exclusively uses lithium iron phosphate batteries (LiFePO4). These batteries offer a greater longevity and higher safety than most other lithium-ion batteries that are commonly used in smartphones, laptops or electric cars. Did you know: lithium iron phosphate is the only battery component that occurs naturally and does not contain any toxic heavy metals. Call our friendly team on 1300 980 640to learn more. With the use of predictive charging you maximize your PV output.